I help people access clarity, results, understanding, a sense of peace and freedom by clearing away their stories and fears wrapped around old energetic blocks that hold them back. Within a matter of seconds, I can uncover the history of the experience you faced that lead to the creation of your limiting beliefs. I work with clients all over the world and continue to be a source of emotional and spiritual healing in the self-empowerment community. As an Intuitive Life Coach, I have mastered the ability to access my own intuition. This allows me to fully envision the struggle, hurt, fears and anxiety you are currently going through. I help you change your life by helping you access your own intuition. I have the ability to help you release the pain from the past, realize more clarity in your future, obtain a feeling that life is easy or even improve the income you want. Rather than focusing on traditional elements of life, such as goal-setting, habits, and skills, I integrate spiritual principles as well. By assessing your energy and emphasizing emotional and spiritual healing, I help you release the blockages that keep you from moving forward. I naturally work with the energy you hold to resolve your deepest issues. My intuition is used to sense your blockages and help you eliminate the source of your pain. I then assist you by guiding you through the process of introducing new habits, thoughts, and beliefs that support the life you want to live. By healing these past issues and altering your consciousness, you can open yourself up to love and the abundance of opportunities that life has to offer. I am here to help point out what you cannot easily see for yourself. I assist in your healing and guidance towards wholeness and well-being in every area of life. Interpersonal relationships help mirror reflections of yourself to bring what needs a change to the surface. 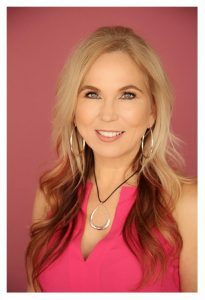 As your Intuitive Mentor, I accelerate this process while providing resources and tools to help you move even further along towards the life you want most. Born and raised in Baltimore, Maryland, I was struck by a car while walking across the street at the age of 8 and floated in a coma for 10 days. When I woke up and my body healed, my life was a sea of magnificent manifesting. I didn’t look at this gift as something special, to me, if I had a “burning desire” and I wanted something, I simply just manifested it. The defining moment that catapulted me into my mission of alleviating the struggle within others came at the end of a 14 year relationship. Most of my life I struggled with relationships and at the age of 32 I became pregnant after dating the baby’s father for only 5 months. We never got married and stayed together for 14 years. Three months before the end of our relationship, I woke up crying like all the other nights from the past year. I crawled into the bathroom and laid on the cold tile floor. As I laid there with my eyes closed, wishing my last breath in this world would come, I suddenly had a sense of complete calmness come over me. I began to feel like I was floating. I could see this vast dark midnight skyline all around me. With stars so close I thought I could touch them. And I had a taste of dampness in my mouth. It was as if all of the Universe spoke to me and at that moment I knew I wanted to make a change. I knew I wanted what I want more then what I have. The only way I could see beyond my misery was to find a way to help me let go of what I felt was the pain in my life. I knew I would feel the love I craved and it all began within. Over the course of many years, I studied with the Masters on meditation, energy work and many different modalities., Today, I can determine blocks created within you that hold you back from accessing abundance, clarity, comfort, love and peace. I also teach others how to free themselves of burden, struggle, confusion and pain so they can release the past, trust the present and live with more ease and grace. People develop blocks, or what others call limiting beliefs, that keep them from living the life they truly desire. A block is a false belief usually created before the age of 7 between you and a caregiver, such as Mom or Dad. This has nothing to do with Mom or Dad being physically or emotionally abusive. On the contrary, this false belief could have been generated by a moment in time when you wanted attention as a small child and your Mom did not provide that attention which caused you to feel unwanted or not good enough. Most people cannot connect to the blocks that hold them back from receiving love, happiness, peace or abundance. They live their lives being triggered by what another says or does. The time is now to stop being reactive and move towards being proactive so life can work FOR YOU. I`m thrilled to be releasing my new book “The Secret Power of You” Order your copy today!